In February 2012, Hill pointed a firearm at a woman during a drunken argument and fled before the police could arrive. After being arrested during a traffic stop a few months later, Hill was subject to a one-count indictment for being a felon in possession of a firearm in violation of 18 U.S.C. § 922(g)(1). The indictment also alleged that Hill committed this offense after having previously been convicted of five felonies under Oregon law, in violation of 18 U.S.C. § 924(e)(1). Section 924(e)(1) is part of ACCA, and increases a defendant’s prison term to a minimum of 15 years if a defendant who violates § 922(g) has three previous convictions for “a violent felony or serious drug offense.” 18 U.S.C. § 924(e)(1). ACCA defines “violent felony” to include “any crime punishable by imprisonment for a term exceeding one year . . . that— . . . otherwise involves conduct that presents a serious potential risk of physical injury to another.” 18 U.S.C. § 924(e)(2)(B). This portion of the definition of “violent felony” is referred to as ACCA’s “residual clause.” Johnson, 135 S. Ct. at 2555–56. UNITED STATES V. HILL6 criminal history and the nature of this incident,” the government nevertheless believed that “a 71 month sentence of imprisonment is warranted.” Hill was “free to seek a sentence of no less than 57 months imprisonment.” Finally, the agreement specified that it was made pursuant to Rule 11(c)(1)(B) of the Federal Rules of Criminal Procedure, meaning that the Court was not bound to follow the parties’ recommended sentencing range. Fed. R. Crim. P. 11(c)(1)(B). The district court accepted Hill’s guilty plea. In providing Hill with its reasons for the sentence, the court reviewed Hill’s criminal history, “which [was] very serious and lengthy,” along with “the very serious nature of th[e] offense, and then the good parts of [Hill’s] life and character” and his “psychological issues,” including his problem with alcohol. The court accepted the PSR’s calculation of the advisory sentencing guidelines range, and noted that if it “were to follow the presentence report, the low end of [Hill’s] range would be 77 up to 96 months.” Instead, the court “tried to consider various factors under Section 3553(a) to fashion a fair and just sentence here under [Hill’s] individual circumstances.” It therefore decided to impose the belowguidelines sentence of 67 months, which was within the 57to 71-month range recommended by the parties. UNITED STATES V. HILL8 Judgment was entered on June 1, 2013. Because Hill did not file a direct appeal, that judgment became final on June 15, 2013. See Fed. R. App. P. 4(b)(1)(A). In June 2015, the Supreme Court issued its decision in Johnson v. United States, 135 S. Ct. 2551 (2015). In Johnson, the Court addressed ACCA’s residual clause; that is, its definition of “violent felony” as a crime that “otherwise involves conduct that presents a serious potential risk of physical injury to another.” 18 U.S.C. § 924(e)(2)(B). Because that language left “grave uncertainty” about both “how to estimate the risk posed by a crime” and “how much risk it takes for a crime to qualify as a violent felony,” it created “more unpredictability and arbitrariness than the Due Process Clause tolerates.” Johnson, 135 S. Ct. at 2557–58. Accordingly, Johnson invalidated ACCA’s residual clause as unconstitutionally vague and held that any sentence imposed under that clause was likewise invalid. Id. In a subsequent case, the Court held that Johnson’s new rule applied retroactively on collateral review. Welch v. United States, 136 S. Ct. 1257, 1264–65 (2016). UNITED STATES V. HILL 9 language. This argument was quickly foreclosed by the Supreme Court’s subsequent decision in Beckles v. United States, 137 S. Ct. 886 (2017), which held that the Sentencing Guidelines are not subject to vagueness challenges under the Due Process Clause. Id. at 890. After Beckles was decided, Hill regrouped and filed a supplemental memorandum. In this memorandum, Hill argued that as a result of Johnson, he was not subject to the 15-year mandatory minimum ACCA sentence because his prior Oregon convictions did not qualify as violent felonies without reliance on the unconstitutional residual clause. His plea agreement and sentence were tainted, Hill contends, because the potential for receiving ACCA’s 15-year mandatory minimum enhancement was a key reason he agreed to the sentencing range in the plea agreement, and the plea agreement, in turn, influenced the sentencing judge. Because Hill’s sentencing process was impacted by an unconstitutionally vague law, Hill argues, the court should vacate his sentence as unconstitutional and remand for resentencing. Hill has not sought vacatur of his plea agreement. UNITED STATES V. HILL10 In July 2017, Hill completed his 67-month prison sentence. He is presently serving his three-year term of supervised release. 1 Because the government does not distinctly argue that Hill’s claim is untimely under the one-year statute of limitations in 28 U.S.C. § 2255(f), it has waived this argument and we do not address it. See Day v. McDonough, 547 U.S. 198, 206, 209 (2006) (holding that the analogous one-year limitations period in 28 U.S.C. § 2244(d)(1)(A) for habeas petitions brought by state prisoners is not jurisdictional so need not be considered sua sponte); see also Entm’t Research Grp., Inc. v. Genesis Creative Grp., Inc., 122 F.3d 1211, 1217 (9th Cir. 1997) (holding that a party waives an argument on appeal by failing to raise it distinctly). UNITED STATES V. HILL 11 materially false or unreliable. See Vanderwerfhorst, 576 F.3d at 935–36; see also Townsend v. Burke, 334 U.S. 736, 741 (1948) (holding that the Due Process Clause is violated when a pro se criminal defendant “was sentenced on the basis of assumptions concerning his criminal record which were materially untrue”). 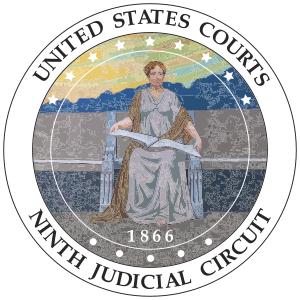 To succeed on a claim that a district court violated the Due Process Clause by imposing a “sentence founded at least in part upon misinformation of constitutional magnitude,” United States v. Tucker, 404 U.S. 443, 447 (1972), a defendant “must establish the challenged information is (1) false or unreliable, and (2) demonstrably made the basis for the sentence,” Vanderwerfhorst, 576 F.3d at 935–36 (quoting Ibarra, 737 F.2d at 827). To satisfy the first factor, the challenged information must be “objectively ascertainable error,” United States v. Addonizio, 442 U.S. 178, 187 (1979); that is, an error “that does not require courts to probe the mind of the sentencing judge,” United States v. Eakman, 378 F.3d 294, 301 (3d Cir. 2004). For the second factor, the court must have “made it abundantly clear that (the challenged information) was the basis for its sentence.” Farrow v. United States, 580 F.2d 1339, 1359 (9th Cir. 1978) (internal quotation marks omitted); see also id. (“In the context of a § 2255 proceeding, a motion must be denied unless it affirmatively appears in the record that the court [b]ased its sentence on improper information.”). Even a district court’s reference to challenged information (for example, noting that allegations of misconduct “continue to ‘swirl around’” the defendant) is not enough to satisfy this second factor; such a passing reference is “readily distinguishable from sentencing [the defendant] based on an assumption that he in fact committed the predicate acts.” Vanderwerfhorst, 576 F.3d at 936. UNITED STATES V. HILL12 Once a movant has established these factors, “[u]nless the motion and the files and records of the case conclusively show that the prisoner is entitled to no relief, the court shall cause notice thereof to be served upon the United States attorney, grant a prompt hearing thereon, determine the issues and make findings of fact and conclusions of law with respect thereto.” 28 U.S.C. § 2255(b). After such a hearing, the movant is entitled to relief if the sentence “might have been different if the sentencing judge had” not relied on that information. Tucker, 404 U.S. at 448. On appeal, Hill reiterates his argument that the court should have granted his § 2255 motion because his sentence was tainted by his eligibility for receiving an unlawful ACCA sentence. In order to succeed on this claim, Hill must first establish that the district court imposed a sentence founded on misinformation of a constitutional magnitude, meaning that it relied on information that is (1) false or unreliable, and (2) demonstrably made the basis for the sentence. See Vanderwerfhorst, 576 F.3d at 935–36. The challenged information in this case, Hill claims, is the misinformation that Hill was eligible for an ACCA 15-year minimum sentence. Hill argues that his prior Oregon convictions do not qualify as violent felonies now that the residual clause has been struck down by Johnson, and therefore he was not eligible for an ACCA enhancement. UNITED STATES V. HILL 13 576 F.3d at 935–36. Although Hill’s indictment included an ACCA charge, there is no dispute that the charge was dismissed when Hill entered his change of plea. The PSR noted that the ACCA charge had been stricken, as did the prosecutor at sentencing. Even the plea agreement was not expressly based on the potential for an ACCA enhancement; to the contrary, it stated that, based on mitigation materials provided by Hill’s counsel, a “non-Armed Career Criminal sentence is appropriate.” Accordingly, no ACCA-related enhancement was before the district court at sentencing. During the sentencing hearing, Hill concedes, “the sentencing court did not reference the ACCA when it imposed sentence.” Rather, the court discussed Hill’s criminal history, alcoholism, psychological issues, and other factors. Further, rather than impose an enhanced sentence, the court imposed a below-Guidelines sentence that was within the sentencing range set forth in the plea agreement. In fact, there is no evidence that the court even considered whether Hill was eligible for an ACCA enhancement, let alone that the court made it the basis for Hill’s sentence. UNITED STATES V. HILL14 information in passing may not suffice. Vanderwerfhorst, 576 F.3d at 935–36. Given that Hill has provided no evidence that the threat of an ACCA charge played a role in the district court’s formulation of the sentence, he fails to meet the standard here. Because Hill has not established that the challenged information was the basis of the court’s sentence, we reject Hill’s claim that his due process rights were violated, and conclude he is not entitled to a hearing on that claim.